Bogdan Berindean began his violin studies at the age of seven in his home country, Romania. 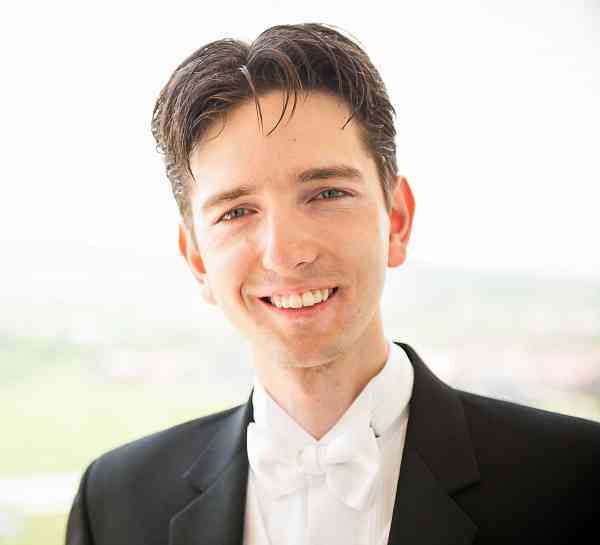 After completing two years at the Gheorghe Dima Academy of Music in Cluj-Napoca, Romania, he moved to Tiffin, Ohio, where he continued his studies at Heidelberg University, having graduated in 2009 with a Bachelor’s degree in Violin Performance. He has participated in master-classes with prestigious violinists such as Alexandru Gavrilovici, Vasile Beluska, Dr. Penny Kruse, and Barbara Annette Vogel. During his studies at Heidelberg University, he won several awards including Arthur E. and Helen M. Bean Best Instrumentalist, and Ferris and Dorothy Ohl Prize for Outstanding Achievement in Music. He has been featured as soloist with the Heidelberg University Orchestra playing Mozart Violin Concerto no. 1, Vivaldi Concerto for Three Violins, Mozart Sinfonia Concertante for Violin and Viola, and Vivaldi Concerto for Four Violins, and also Perrysburg Symphony Orchestra playing Vivaldi Concerto for Three Violins. Mr. Berindean graduated with a Master’s degree in Violin Performance from Bowling Green State University in 2012, and is currently an active violinist being part of such orchestras as the Lima Symphony Orchestra and the Michigan Philharmonic, serving as concertmaster for the Perrysburg Symphony Orchestra, and extensively touring the United States and abroad in China and Japan with the Hollywood Concert Orchestra. Mr. Berindean currently holds the Adjunct Violin Professor position at Owens Community College. He is very dedicated to his students, and has been maintaining an active violin studio since 2009.